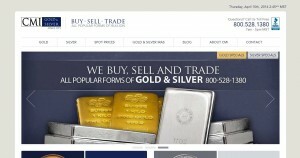 CMI Gold & Silver address, phone, website, hours of operation, and more. Headquartered in Phoenix, Arizona, CMI Gold & Silver Inc. is one of the oldest gold and silver dealers in the United States and has played a major role in introducing investors to the gold and silver markets. Although domiciled in Phoenix, Arizona, CMIGS buys and sells gold and silver with investors across the United States. CMIGS also has as its mission the education of precious metals investors as to the benefits–and dangers–of the precious metals markets. We do this through this website and Bill’s Blog, on which Bill Haynes, CMIGS’ president, writes about economic, political and social developments that affect precious metals prices.